‘Detox’ is the short form of the word detoxification, a process by which our bodies break down and get rid of toxic substances. It is another important system of the body. Although the liver is thought to be the major organ of the body carrying out this process, most tissues of the body also assist. The process by which this occurs is called detoxication which changes a toxic substance into a more readily excretable form. Most poisons are excreted through the liver and its bile. Some can be excreted or exhaled unchanged and some are literally stored in our fat cells. Most toxic chemicals including heavy metals are fat soluble and are attracted to our fat. If we are incapable of or inefficient in biodetoxification we will store the poisons creating an internal source of chronic toxicity. So now you know what the word ‘detox’ means. More importantly you need to know that many diseases are caused by our body burden of the persistent or chronic pollutants including the majority of cancers and many of our autoimmune disorders. There is no organ or tissue of the body that cannot be injured. It behooves us then to reduce all toxic exposures and maintain our ability to break down and excrete them. The COEM has one of the very few Biodetoxification Programs in the nation. Since 1988 we have been helping people from all over the world reduce their toxic burden. Many were poisoned by pesticides, molds, industrial chemicals and recently the BP oil spill and dispersants. These patients all needed an intense program because of the severity of their illness. If you fit into one of these categories we have the experience to treat you in the intense 4-6 week program. We understand that affording healthcare can be difficult in this economy. COEM offers patients the option of paying for their medical treatment through Care Credit. Care Credit boasts special financing every time you use it, low monthly payment options and no up-front costs or pre-payment penalties. Multiple plan options allow patients to choose the plan that fits their needs. Choose from No Interest Plan options for 6, 12, or 18 month periods or Extended Low Interest Plan options for 24, 36, 48 or 60 months. Care Credit is often accepted by other healthcare providers including primary care physicians, dentists, surgeons, optometrists and even veterinarians. 3. Enhancement of excretion and inhibition of reabosrption. Specialized laboratory testing is initially performed to determine your body’s burden of toxic chemicals and how these may be affecting body chemistry, immunity, and overall function. In addition, urinalyses and basic blood work is performed during each of the 4 weeks of the intensive Biodetoxification program. Several hours each week in a dry sauna between 140-150 degrees assists in mobilizing fat. Weekly therapeutic massages performed by a licensed massage therapist is used to breakdown fatty tissues. Daily oxygen therapy is provided to enhance the body’s natural systems of detoxification. 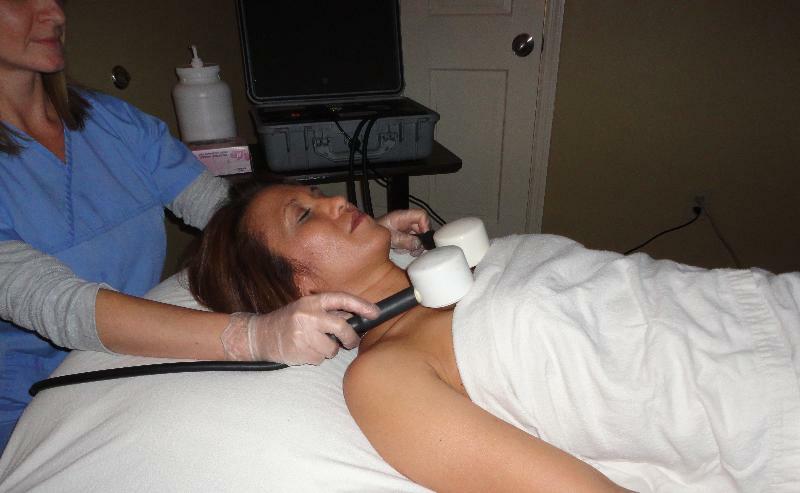 Weekly lymphatic drainage is performed via light beam therapy. Detoxifying foot baths are provided weekly. Twice weekly I.V. supplementation replenishes key required nutrients. Nutritional supplementation of key required nutrients enhances the body’s natural systems of detoxification and daily oral polyunsaturated oils enhances excretion. Let’s start the new year of 2012 off with conviction that maintaining our health is worth every effort.